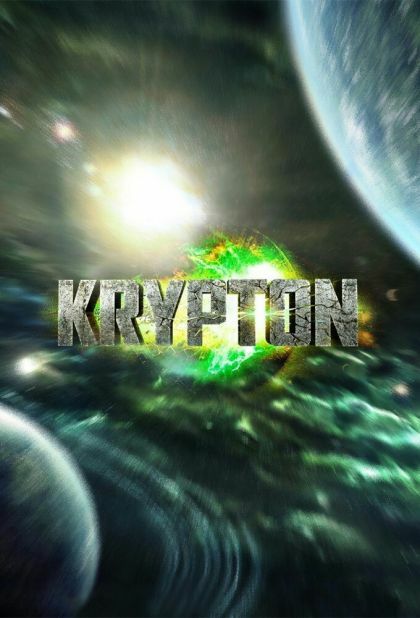 Set two generations before the destruction of Superman's home planet, Krypton follows Seg-El, the legendary Man of Steel's grandfather — whose House of El was ostracized and shamed. With Krypton's leadership in disarray, Seg-El encounters Earthly time-traveler Adam Strange who warns he's under the clock to save his beloved world from chaos. Fighting to redeem his family's honor and protect the ones he loves, Seg is also faced with a life and death conflict – save his home planet or let it be destroyed in order to restore the fate of his future grandson. Superman's grandfather, Seg-El, learns Krypton is in danger of being destroyed so that his future grandson will never be born. After suffering a tragedy, Seg must adjust to a new life, a new rank and a new threat. During a military crackdown on Seg's home district, Seg and Adam Strange race to find a deadly Sentry. Seg is approached by a Black Zero leader as Rao finds a scapegoat for the failed Rankless Initiative. After a failed coup, Daron punishes the conspirators. Lyta and Dev go in search of Jayna. A resistance movement begins to form to impede the Voice of Rao's increasing power and influence. Seg must decide if he can make the ultimate sacrifice in service of the greater good of Kandor.